Born on Scotland’s Isle of Islay, Alexander McDougall moved to Canada as a boy. In 1861, sixteen-year-old McDougall took his first job as a deckhand on the Great Lakes; by twenty-five he had command of his own ship. 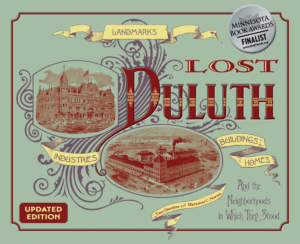 For twenty more years he worked the Great Lakes, adopting Duluth as his home. In 1888 he dove head-first into the shipbuilding industry. He designed and built a steel boat with a flat bottom “designed to carry the greatest cargo on the least water.” He rounded the top deck so water would run off and gave the bow a spoon shape to better cut through water; deck turrets allowed passage inside the ship’s hull. The design earned the vessels the nickname “Pig Boats,” but McDougall gave them a more noble title: whaleback. McDougall’s American Steel Barge Company in Superior cranked out thirty of them by the end of 1892. All but the Christopher Columbus were built as cargo barges. McDougall had grander plans, including a transatlantic mail carrier and a man-o’-war, but those were never built. Size limitation doomed the future of whalebacks, but many of McDougall’s design advances were employed in modern ore boats. The last whaleback, the Alexander McDougall, launched in 1898. The American Steel Barge Company would move to Duluth and build ships again during World War I, along the way creating Riverside, a company community on a smaller scale than Morgan Park. The company also turned out many ships during World War II, but McDougall never saw them; he died in 1923. The Christopher Columbus was probably the best-known whaleback on the Great Lakes. 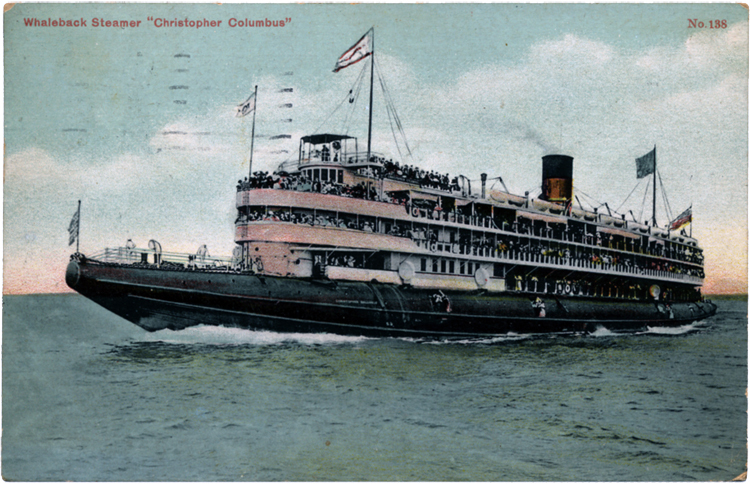 Unlike other “Pig Boats,” the Columbus was a passenger ship outfitted with three upper decks. Built in Superior in 1893, the ship spent most of her life steaming around Chicago and Milwaukee; she was scrapped in 1936. The S. S. Meteor, originally the Frank Rockefeller, is the last remaining whaleback. It is now a museum located on Barker’s Island in Superior, Wisconsin. You can read about it here.